Malcolm Jenkins glanced around the room when the Pro Bowlers first gathered in Hawaii earlier this week. 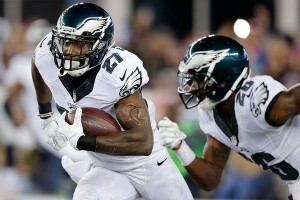 He saw Charles Woodson, Richard Sherman, Adrian Peterson and the other brightest stars in the NFL It was validation for Jenkins, the Eagles safety who received a Pro Bowl invitation Monday night for the all-star game on Sunday. Each day this season, Jenkins walked through the corridor at the Eagles’ practice facility that is adorned with pictures of the franchise’s all-time Pro Bowlers. He would tap his hand against that wall as a reminder of the goal he had yet to achieve – before this week. Jenkins took the most snaps in the NFL and played both safety and slot cornerback in the Eagles’ defense.